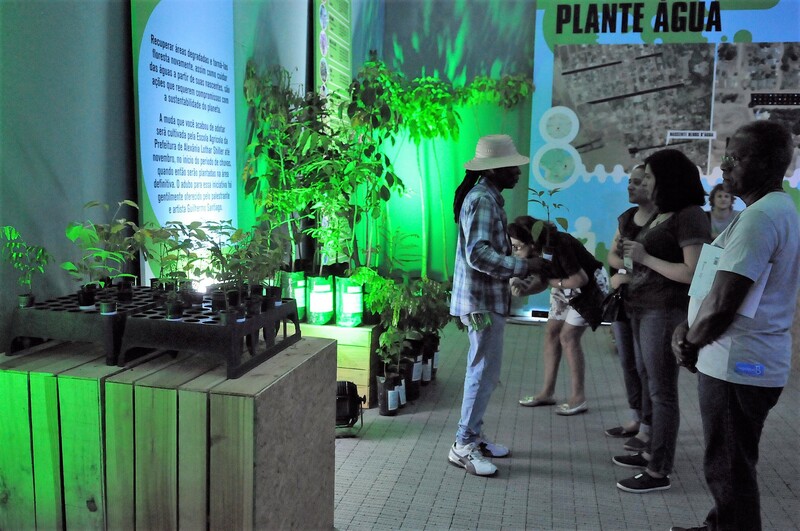 The activities of the 8th World Water Forum began Saturday morning (17) with the opening of the Citizen Village – a free space open to the public. The opening ceremony was attended by authorities, civil society and press to start the official activities of the event. More than ten thousand people, an audience consisting basically of children and families, visited and interacted with the facilities of the Citizen Village - a free space at the 8th World Water Forum open to the population. Authorities and organisers of the 8th World Water Forum were present at the opening of the event's Fair , held this Saturday (March 17). In the morning, the group visited the space mounted to the side of the Village Citizen, in the external area of the Stadium National Mané Garrincha, in Brasília. The space is free, open to the public and will be open every day of the event from 9am to 9pm. The 8th World Water Forum has finally come to fruition, the most important event on the subject in the world will be hosted here in Brasilia and will take place for the first time in the Southern Hemisphere. It's been three years of very intense preparation to get to this point, going through Regional, Thematic, Political, and Sustainability processes, with the engagement of more than 600 institutions around the world. Occupying an area of nearly 3,000m² inside the Citizen Village, the Green Nation came up with the proposal to show that there is no life without water. It consist of 9 facilities that provide the public with various perspective on water and its ways over the course of 1h10 of interactive, emotional and sensory experiences. The space is open every day from 9am to 5pm.